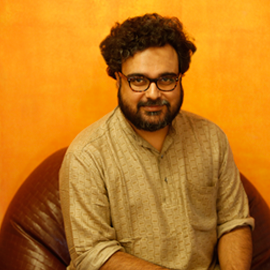 It was decided that Rajya Sabha will discuss the Rohith Vemula's suicide and the JNU sedition controversy on the first day of the Budget Session. However, the Opposition, especially the Bahujan Samaj Party didn't allow that to happen. The House didn't function and the debate was postponed for the next day. The Rajya Sabha will now discuss it in the second half of Thursday, after the Rail Budget. But the reverse happened in the Lok Sabha. The debate which was supposed to take place after the Rail Budget was advanced to Wednesday. More than 20 political parties and 27 speakers expressed their views on the issue. The discussion went on for more than 4 hours. Most of the political parties were present, however Congress MPs walked out when HRD ministry Smriti Irani was making her speech. Here are some takeaways from what happened in both Houses. Women leaders dominated proceedings in both Houses. The first half of the day belonged to BSP supremo and Dalit leader Mayawati. She and her MPs didn't let the Upper House function. They demanded two separate discussions on Rohith Vemula's suicide in Hyderabad Central University and on sedition row in Jawaharlal Nehru University. Mayawati also told the government that her party would continue to disrupt the House until the government makes it clear that it is including at least one Dalit member in the judicial panel inquiring into the death of Rohith Vemula. The second half entirely belonged to Smriti Irani. 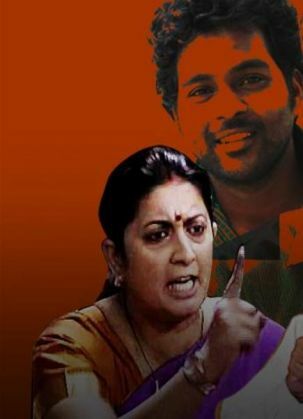 The HRD minister was undoubtedly the show-stealer of the entire debate. Loaded with emotion, theatrics and personal attacks, Irani's speech took the battle to the Opposition camp. She spoke not as a minister, but as a true blue politician. Even though she may not have addressed many of the key issues, Irani's stock will increase through the speech. Till now, she was the considered weakest link in the Cabinet and had become a favourite punching bag for the Opposition. Some even speculated that she might be on her way out as HRD minister. With this speech, she has not only secured her job, she emerged as a defender of the BJP, the Sangh Parivar and Hindutva as an ideology. Her references to Mahishasur Mardini and invocation of Atal Bihari Vajpayee's poem would be music to the ears of the BJP's core constituency. While scoring political points, Irani also managed to provide a report card of her performance as HRD minister and even the "favours" she has given out to politicians from other parties. By saying that she was a woman married to someone from a micro- minority community, she played the victim card and turned the secularism debate around. Needless to say, her speech would be shared widely by BJP and its supporters on the social media, disseminating the party's offensive on the sedition issue. Home Minister Rajnath Singh was fulsome in his praise for Irani's speech. Some say the BJP may just have gained another Sushma Swaraj in Parliament. However, her speech needs further and detailed decoding. Before Irani's offensive, there were 2 speakers in the Lok Sabha who stood out - Sugata Bose of the All India Trinamool Congress and Tathagatha Satpathy of the Biju Janata Dal. Their speeches were undoubtedly the most sincere, focused and balanced among all the speakers. They quoted from rich sources such as Aurobindo Ghose and Rabindranath Tagore. Their speeches were met with very little disruptions as most of the MPs present listened attentively. Most importantly, Bose and Satpathy were able to rise above politics and show a mirror to both the BJP and the Congress. The debate in the house was opened by Jyotiraditya Scindia of the Congress. He was countered by Anurag Thakur of the BJP. Other young leaders who spoke were BJP MP from Delhi, Mahesh Girri, INLD's Dushyant Chautala and Anupriya Patel of the Apna Dal. Scindia kept the pitch high but he was lacklustre and didn't address the core issue. He used wrong words and his arguments were muddled. BJP's Anurag Thakur was even worse. His speech had nothing except personal attacks and noise. He forgot Rohith Vemula and kept attacking JNU. Dushyant Chautala went on a completely different tangent, focussing on the police action against the Jat agitation in Haryana. Anupriya Patel spoke as if she was participating in a school debate. Fortunately for her, she was allotted barely a few minutes by the Speaker. Irani's speech made it clear that the government sees the JNU row as part of a larger ideological battle. She spoke about the textbooks prepared by Teesta Setalvad, which were assigned to her by the then HRD minister Kapil Sibal. This comes when Prime Minister Narendra Modi has hinted towards action against NGOs. Thakur brought Communists of all hues under one umbrella and stopped just short of calling all of them anti-national. Though the debate went the BJP's way because of Irani's speech and its numerical dominance in the Lok Sabha, the Opposition needs to be credited for its show of unity. Among the 20 political parties which got the opportunity to speak on the issue, about 15 parties criticised the government's handling of the Hyderabad Central University and JNU episodes. Smaller parties like TMC, BJD, CPI(M), CPI, NCP, JD(U), RJD and AIMIM were more effective than the Congress in attacking the BJP. Even BJP's ally - Lok Janshakti Party leader Chirag Paswan - took a position different from that of the government. BJP had only 2 supporters - Shiv Sena and Apna Dal. Samajwadi Party chief Mulayam Singh Yadav continued to play it safe, as he had done in the last session as well. In a short speech, he said that the slogans were unacceptable and the guilty should be punished. He made no mention of the police action or the media trials being conducted by a few news channels. The worst part of the entire debate were the personal attacks. There was constant screaming from both sides, that often mimicked noisy panel discussions on certain news channels. Anurag Thakur and Smriti Irani targeted the Gandhi family and a few other politicians in an extremely personal manner. Congress' Scindia, too, was rather loud in his speech. As a result, the debate had no conclusion. It was all politics, it seems. Despite the voices of reason in the form of Sugata Bose and Tathagatha Satpathy, the House failed to arrive at a consensus. Even the 3 ministers who spoke - Irani, Venkaiah Naidu Rajnath Singh - didn't answer the key questions of the Opposition.